Somewhere in the African bushveld, just before dawn, a small group of people sit in silence as the last stars fade. They carry no cellphones and wear no watches. 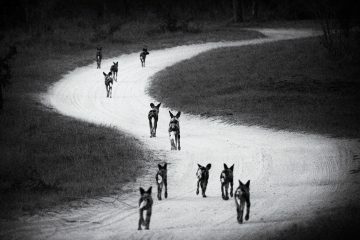 They are still, listening for the clues that will tell them where to begin the day’s animal tracking. When the signal comes – the roar of a lion, the alarm call of a nyala – they stir, and as a group they move forward to cut the track. They are on the trail, where the challenge and the adventure begins. They rely on each other absolutely and their shared endeavour gives rise to that rarest thing in the modern world: a true sense of fellowship. This is your call to adventure: join them. Access to world-class trackers and coaching in one of the best tracking venues on the planet. An intimate group of no more than six men. Daily on-foot tracking experiences of lions, leopards, elephant and rhino. World-class accommodation and gourmet meals at Londolozi Private Game Reserve, bordering the Kruger National Park in South Africa. 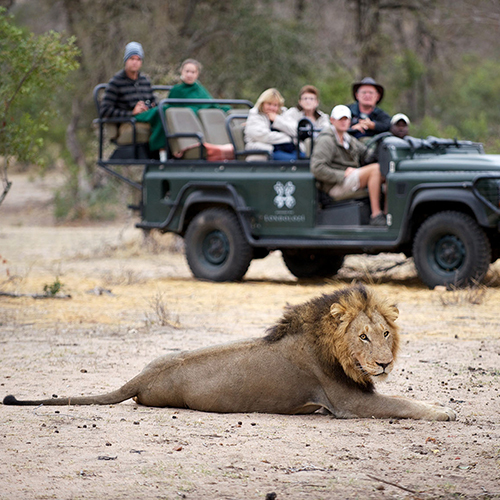 Game drives with sightings of exceptional wildlife, including lions, cheetahs, hippos, leopards, zebra, giraffe and rhino. A unique adventure among a select group of men, that will be transformative and fun. A new perspective on how to live your life. Effective strategies for your life and livelihood. A new model of power through presence. The ability to create your own narrative, which allows you to shape and create new experiences in your life. A community of like-minded people to support you on that journey. Use your body’s signals as a compass to navigate the uncertain terrain of your life. Move fluidly between between extreme detail and a broad vision for yourself. to learn the ancient and powerful art of animal tracking. This retreat is unlike anything else in the world. take us, to places most visitors will never go. of animal behaviour, you’ll notice that something is starting to shift in you. You will start to discover you are part of this wild story. to feel a new aliveness as you track these magnificent creatures. going unmet in the modern world: the need for visioning, charting a course, and immersion in wild places. You will discover that tracking your life’s purpose is very much like tracking a lion. as you create your wildest dreams. 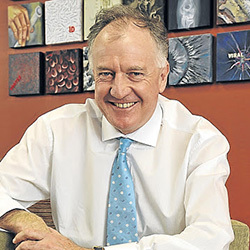 Boyd has a psychology degree from the University of South Africa. He is a certified Master Life Coach, the author of two books and a TED speaker. 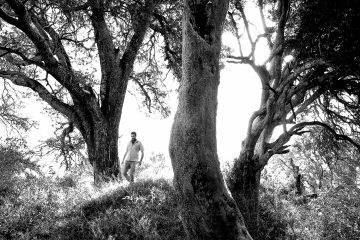 Boyd has spent the last ten years refining the art of using wilderness as a place for deep introspection and personal transformation. 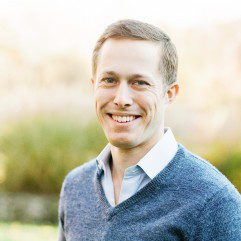 Having taught his philosophy of “Tracking your Life” to companies and individuals all over the world he now runs retreats that merge tracking, coaching and storytelling into an experiential learning environment. 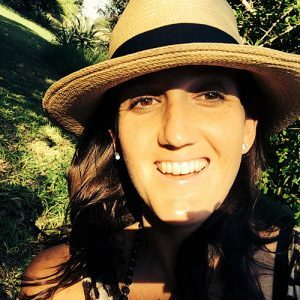 Being a passionate adventurer, philanthropist, innovator and life coach, Bronwyn plays a key support role on the Track Your Life retreats. 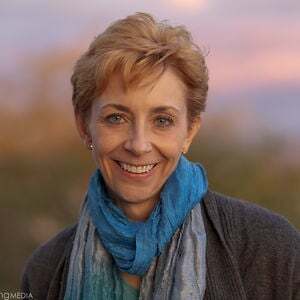 Bronwyn is a Martha Beck Certified Master Coach and has over 10 years of experience working with individuals and corporations to effect positive change. Alex’s greatest fascination is traditional skills of wildlife tracking. He has dedicated much of his life to learning the ancient art, eventually qualifying as one of a handful of tracker assessors in 2004 – the youngest ever to achieve this feat. 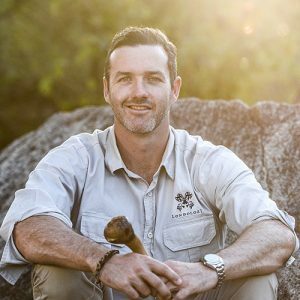 Over the last two decades Alex has tracked jaguars in the Amazon jungle, bears in California, grizzlies and wolves in Montana, kangaroos with Aboriginal trackers in the Australian outback and the famous black-mane lions of the Kalahari. Alex is also the general manager of the Tracker Academy; a NGO which trains unemployed people in traditional skills of tracking. Renias has conducted tracker training workshops in South Africa, Brazil, Australia, Kenya and North America - teaching people the traditional skills of trailing animals. Over the last 34 years Renias played a pivotal role in habituating the world-famous leopards of Londolozi. In addition to his extensive experience with African animals he, with Alex, has tracked animals all over the world. 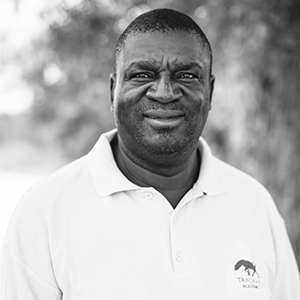 Using his tracking skills Renias has also conducted small mammal surveys for game reserve owners in South Africa. 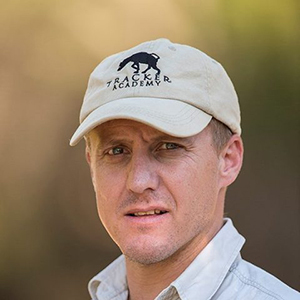 In 2010, Renias became the head trainer of the Tracker Academy based at Londolozi. "The experience was everything I hoped for…and more. The facilities and staff are second to none, the campfire stories were incredibly special, pre-dawn in the bush was simply magical, the on-foot tracking of big animals was awe inspiring, the group of men you invited brought humor and honesty to our shared journey…all of it was outstanding. But most important to me was the environment you created that allowed exploration of my personal path forward. The tracking metaphor and the tools you offered are truly changing my life.hours! I couldn't have asked for more than this." 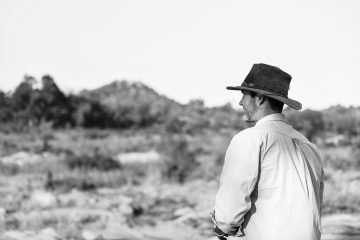 "I couldn’t be happier that my dear friend Boyd Varty – you may have read about him in Finding Your Way in a Wild New World — has created this tracking retreat just for the men of The Team. From where I stand this is the most hopeful time in history for men (as well as women). It is a time when David can beat Goliath. It’s a time when the true nature of each man can be realized rather than crushed. Boyd has designed this tracking retreat to help you realign with your true nature. I’ll let him tell you what he has in store." Only rarely does one get the opportunity to spend real quality time over almost a week of days and nights with a group of people like this. Individually they are recognised globally as masters (professors, really) of their craft and collectively they worked seamlessly together to provide a living learning experience in so many aspects of the wilderness, leadership and self-discovery, with a solid underpin of art, science, and good humour. The result was a surprising and special experience that I can freely recommend to anybody who is perhaps ready to journey further into their own leadership odyssey. Fill in your details and submit your application to join a Track Your Life Retreat.